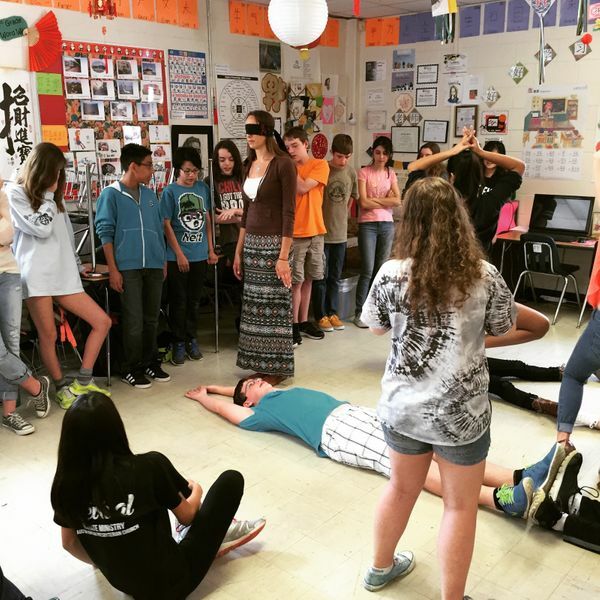 Chinese teacher Ms. Stringfellow put on a blindfold and trusted her class to guide her through the maze of students. Of course they only spoke in Chinese and helped make sure everyone knew what to say, as to keep her from stepping on any of their classmates. It was fun to watch and see such active engagement and creativity!